At ArmorPoxy, we are committed to offering only the best epoxy pool paint for both commercial and residential pool owners. With the right swimming pool paint, you can reduce the time spent on cleaning and repairs significantly. At ArmorPoxy, we are committed to offering only the best epoxy pool paint for both commercial and residential pool owners. 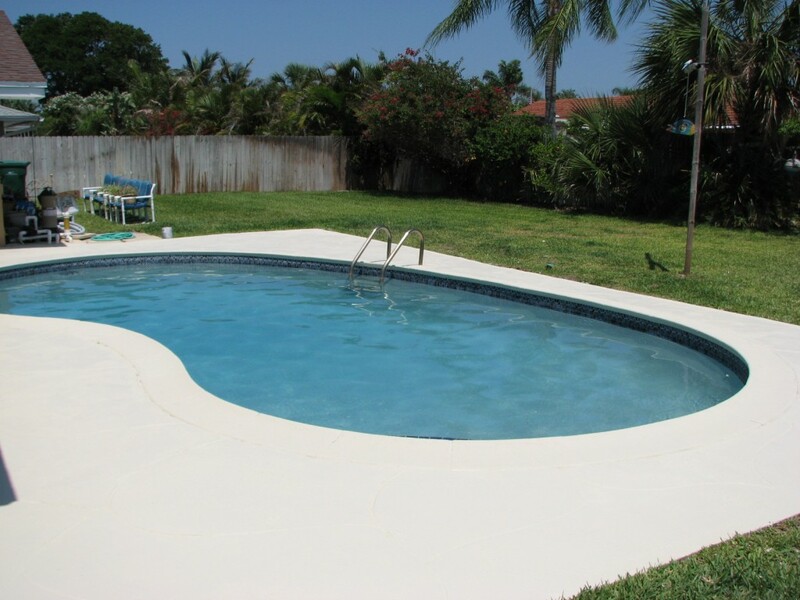 Our options include both a 1-part and 2-part epoxy pool paints, both of which are capable of successfully beautifying, restoring, and protecting swimming pools of all kinds: including concrete, plaster, and fiberglass. ArmorPoxy 1-part pool paint is our premium swimming pool paint that is engineered to resist the harmful effects of UV rays and chlorine. Effective in both new and old pools, ArmorPoxy 1-part Epoxy Pool Paint can be applied over existing chlorinated rubber pool paints, in addition to bare plaster and concrete surfaces. If you’ve just installed a new pool, or are simply repairing your old pool, ArmorPoxy 1-part Pool Paint will help you complete your project faster as it does not require much time to dry. Our one-of-a-kind pool paint is designed to last and will leave the internal surfaces of your pool stronger than ever and able to resist fading, chemicals, and abrasions over time. Another option for your pool is ArmorPoxy’s 2-part Pool Paint, one of the industry’s leading and most highly-rated epoxy pool paints. This premium epoxy pool paint is a favorite among recreation departments because it easily stands up against harmful UV rays, algae growth, chlorine, and temperature variations. Similar to ArmorPoxy’s 1-part Pool Paint, ArmorPoxy 2-part Pool Paint is incredibly durable and long-lasting, able to hide signs of wear and tear for years at a time. ArmorPoxy 2-part Pool Paint dries extremely quickly, requiring minimal time for application. In no time, you will have a beautiful looking pool ready for use. ArmorPoxy 2-part pool paint can be used to recoat Jacuzzi’s and spas too! Choose ArmorPoxy for your Jacuzzi paint. Both of our epoxy pool paint coatings come in a variety of beautiful colors, helping you create a unique space that matches your style. Whether you’re looking for a calming Aqua Blue, cool Black, or lively Safety Yellow pool paint, we have just what you need and more. Contact us today, and we’ll help match you with the high-quality epoxy swimming pool paint you need!